Lincoln, Nebraska Real Estate Market: I Can't Sell My House! What's Wrong? 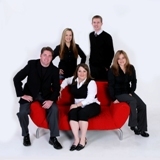 For all your real estate needs, contact The Korn Team Serving Lincoln & Greater KC. We have an aggressive marketing plan designed to go find your buyer not sit around and wait for you buyer! You can't be one of our next sales unless you contact us today! 402-436-3379 or visit http://www.WeSellLincoln.com to see how we market our listings.